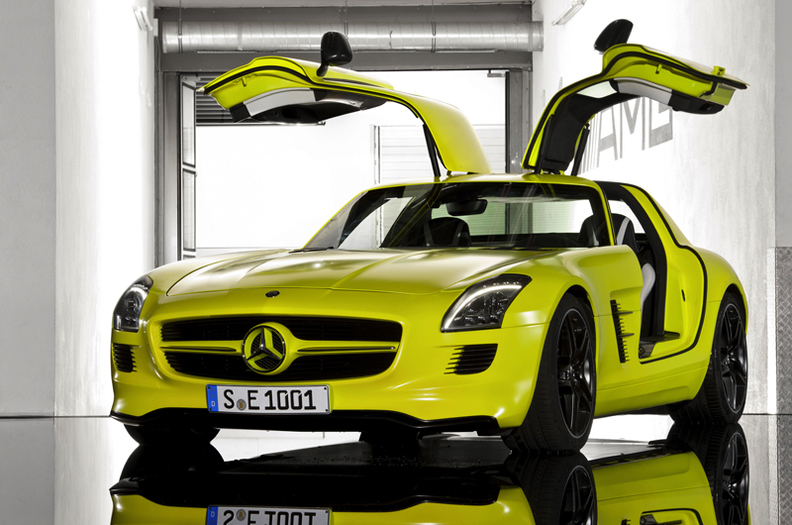 The SLS AMG E-Cell is powered by four electric motors, each driving one wheel. SEOUL (Bloomberg) – SK Innovation Co. said it will supply lithium-ion batteries for Daimler AG's Mercedes-Benz SLS AMG E-Cell supercar. Shipment schedules and volumes haven't been fixed, according to a regulatory filing today. SK Innovation is competing with chemical maker LG Chem Ltd. for a share of the car-battery market and has won orders from Hyundai Motor Co., Kia Motors Corp. and Daimler's Japanese unit, Mitsubishi Fuso Truck & Bus Corp.